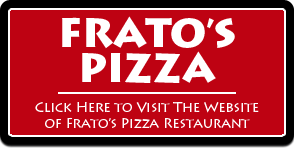 Frato’s Pizza (the Casual Restaurant) employs passionate culinary students from local colleges such as Elgin Community College & College of DuPage. We are told this is the first apprenticeship program of its kind. These college culinary students are training at Frato’s Casual Restaurant to one day become a Personal Chef! 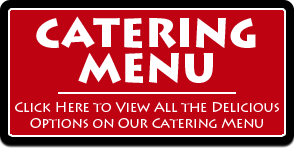 Frato’s Catering (the Upscale Catering Extension) takes those experienced cooks and turns them into your very own Personal Catering Chef via our Personal Chef-In-Training Program! We are all very passionate about making you happy! 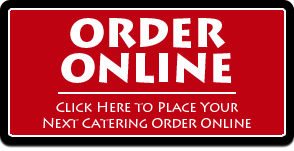 Experience the difference today at Frato’s Pizza & Catering and watch these passionate culinary students give you the best experience you’ve ever had! 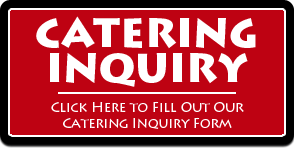 Request a Personal Catering Chef & Free Sampling Here! Frato’s Eatery originated in 1974. What originally began as a small sandwich shop became Frato’s Pizza in 2012 with new ownership and a new focus on handmade gourmet Pizza, Burgers & Wings. Michael Kudrna and Chef Ed Musto, designed a new restaurant concept with a focus on customer service, fresh prepared gourmet meals, but in a relaxed quick-service atmosphere instead of a commercialized restaurant built on mass production and viewing customers as just a number. After many years of searching for the right business to invest in to successfully build towards their dream, they found Frato’s Eatery in 2012 after the 2008 economic collapse had taken it’s toll on the widely known restaurant that everyone in Schaumburg has grown up enjoying. They risked everything and jumped in head first. While it took many years and work just to find the right location, our real work had now just began to turn around a dying restaurant that once believed in using solely frozen products with only three employees. Now, rated the #5 Best Pizzeria by Chicago’s Best on WGN after only 3 years of ownership, they have added over a dozen jobs to the economy with a menu that is now over 90% made fresh and in-house! The Chef is always working on new recipes from scratch, but using his Italian heritage and fine-dining experience while keeping in mind new culinary trends that customers are enjoying. Some days you’ll see him giving free samples to customers for feedback. He believes in recipes that he tests with the assistance of his friendly customers. Every month, you will see more changes as he continues to improve and grow towards fulfilling the Frato’s vision while keeping the small business stature intact. All of our burgers are handmade every single day. Our Special Frato’s Blend of Bacon and Beef Patties will overwhelm you with flavor that you won’t taste with just an ordinary beef patty that everyone else serves! Our Famed Chicago Bears Burger of the Week will entice you every week to devour the competition (as seen on WGN News) as Chef Musto creates a new burger based around the history of the team and town our beloved Chicago Bears are playing against. As the winner of WingFest, the Chef loves making unique sauces. Our NEW Whiskey BBQ is sure to make everyone happy with a sweet beginning that ends with subtle heat making this the perfect medium sauce for everyone to enjoy. Habanero Garlic, the Chef’s famous first sauce, is made using Fresh Habanero that makes this Hot Sauce our original flagship sauce that caused us to run out of it frequently during our first year in business! Every 6 months we modify our menu with seasonal changes. Some our favorites that come back like the Mike Ditka Sausage Pizza and Burger to new items like the Whiskey BBQ wing sauce (winner of WingFest) and Handmade Mozzarella Sticks that are massive!